This article about the intellectual property is about trademarks, patents and design and it is the second part (read here the first part about the copyright) of a general guide which intent is the clarification of the argument. In this part we will deal with the industrial property where the right of industrial property is born almost always with the filing through the offices and not thanks to the simple creation. Let’s see in particular what includes the Industrial Property. The trademarks are distinctive signs able to distinguish the own products and services from those of the competitors. Try to imagine two computers made of aluminium almost identical apart from one detail: on one it is represented a bite apple, on the other not. Can you say who is the producer? What are your expectations? The trademark represents the industrial origin and it is useful to distinguish a product in the market of reference. Thanks to the trademark we can associate to one and only one firm each of its actions and each of its goals in the market, like the quality and reliability of their products. Trademarks to be protected need to be registered through the patents and trademarks offices. In Italy it is the UIBM, in Europe the EUIPO and globally the WIPO. Each country has, like in Italy, its own national office. In some countries, Italy included, the trademark can be protected also through the use (i.e. de facto trademark) but the protection is weaker. Trademarks involve a territoriality protection; furthermore the protection is valid only in countries where the request of registration has been done (for example Italy or other European countries, Europe, other foreign countries – a global protection do not exist). Distinct: a trademark cannot be a commonplace; it cannot be the name of the object that wants to be protected. I would not be allowed to register “pen” as a trademark for a line of pens (I would instead use it for an apparel line). At the same time, it cannot be descriptive of the product, the quality or the characteristics. Novel: it must not be already used by others (of the same sector of activity). Lawful: it must not be against the law, the security or the public order. The duration of the trademark’s filing is of 10 years, renewable even forever. Can I register a trademark with Proofy? The trademark must be registered through the public offices of competence. A logo can be file with Proofy to have a protection for the creative part (brand design) but there is not the same protection for the commercial aspects. For a trademark, Proofy can be a temporary solution until the filing (maybe also until the ultimate choice of the trademark). We do not offer services of trademark filing or research of anteriority (but we know who knows how to do it well). ® o TM? Which is the difference? The ® applied next to a trademark which has been already registered. It is not a trademark for which it has been simply asked the request of filling but it is an already registered trademark in all of its aspects. TM can be put next to those trademarks for which the filing has already been done but these are not already registered. The patents for inventions protect only the inventions that present the necessary requirements (the important elements are the newness and the no previous disclosure). Who has the ownership of a valid patent can prevent the competitors from using the invention object of the patent. We will see below which are the necessary requirements and the characteristics of the patent for invention. New inventions: in case the information would be made public before the filing it is called destructive pre-disclosure and it will not be possible anymore to have a patent on the invention. For this reason it is very important to ask to firm an NDA contract (Non Disclosure Agreement) if before the presentation of the request for the patent it results necessary to show to someone the documents or information related to the invention. Many investors in an initial phase refuse to firm the agreement. In this case it is sufficient to give some first general information about the invention without making public all the functional details. It is important indeed that each collaborator at any level have signed the NDA. Inventive activity: each invention to be a patent cannot be the mere application of previous knowledge. The invention must not be a solution to a technical problem that seems trivial to an expert of the sector. Be likely to have an industrial application: all those inventions not able to manage the real and constant achievement of the result promised in the patent cannot be registered as patents. In this sense the patent needs to always have, even of itself, an industrial application. The duration for the patent for invention filing is of 20 years not renewable. 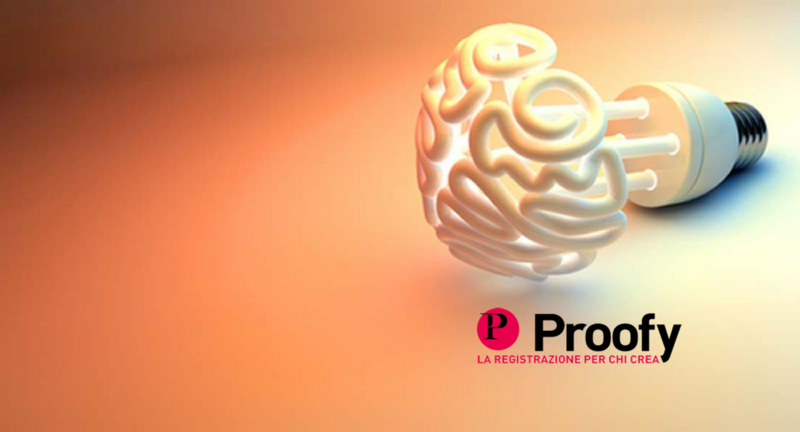 From the fifth year, in Italy, it will be necessary to pay an anticipated annual quote to maintain the validity of the patent. However, the Italian law provides a period of implementation fixed in 3 years. Who files the patent has 3 years of time from the patenting (or 4 from the date of filing) to put in commerce the product object of patent. Who would not proceed at the implementation could be constraint to grant a compulsory license or in extreme cases could be subject of the decay of the patent. The patent is protectable only in the countries where it has been done the filing. However, differently than trademarks, it is not possible to protect with a patent an invention in a country where has not been registered any patent from the moment that the requirement of newness is global. Today a patent can be Italian, European or Unitarian (this will be available from March 2019) or International PCT. For what regards in particular the computer programs (i.e. software) it is specified that cannot be subject of patent “as such”. On the other hand, these can be subject of patent if they are part of an invention with physical components (hardware). According to the EPO (European Patent Office) it is necessary that the program provides a “further technical effect” between the hardware and the software. The utility model is similar to a patent that exists only in Italy and few others countries in the world. It is possible to ask a utility model to protect objects (tools, machines or instruments) which are modifications of pre-existing objects and which thanks to these modifications acquire a greater handling, easiness of usage and so… utility. The utility model is easier to obtain than the patent but confers a very limited exclusivity right. At a commercial level the firms acquire this type of protection especially for dissuasive porpoise. The duration of the filing of the utility models is of 10 years not renewable. Design means the external appearance of everything that surround us. Talking about design we think immediately to the furniture and to the objects of furnishing but also the fashion is considered design as the packaging and the font. The design in our legislation belongs to both the intellectual property (registered design) and to the copyright. Nevertheless, the protection offered by the copyright is reserved to designers already recognized or at design works considered by the public like works of art and, for example, exposed in a museum. The design (drawings and models) can be file within 1 year from its presentation to the public (Grace period) and it is protected for 5 years renewable until a total of 25 years (in Italy). The design not filed is indeed protected for 3 years from its first presentation. Proofy can be useful for the period before the filing of the design to try the creation and/or before the presentation in public. To deepen the theme of the design protection and of the managing of the bargaining power you can read our interview to the attorney Arlo Canella on “Design and legal protection”. Do you have curiosities with respect of the themes treated in the article? Leave a comment, subscribe to our newsletter or contact us. This content was created by Valentina Panizza with the supervision of Studio Legale Canella Camaiora.